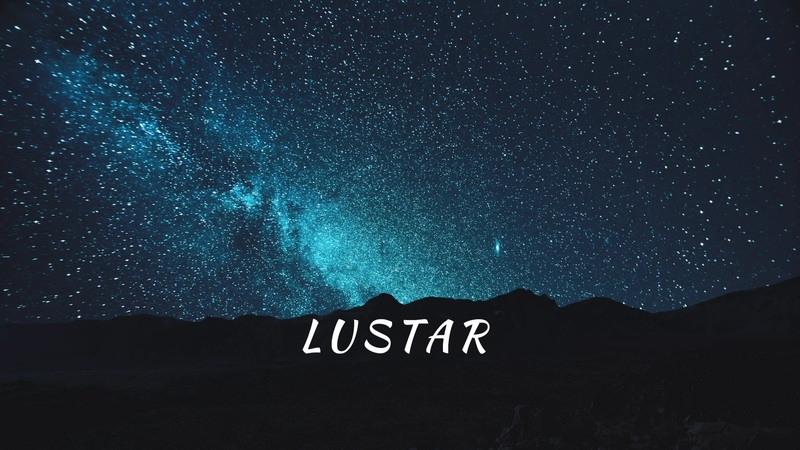 Get Lustar now, available on the iOS App Store! Lustar overlays a light pollution map on top of Google Maps so that you can find the best place to see the stars in your area. A prime star gazing location is nothing without the right weather conditions. 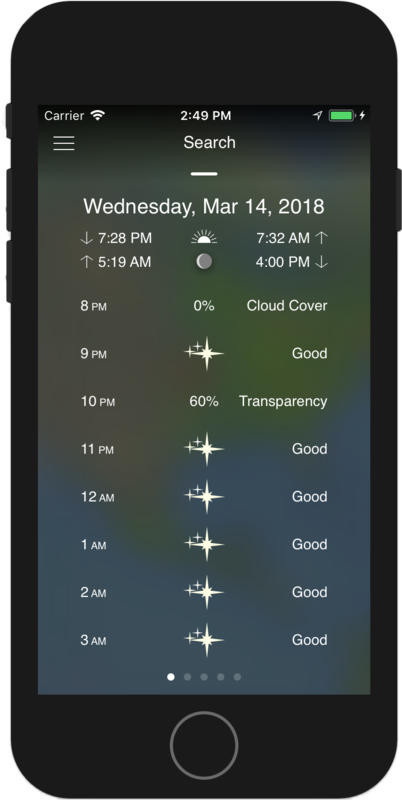 Pull up a detailed view of weather conditions to find the best star gazing opportunity for any location. 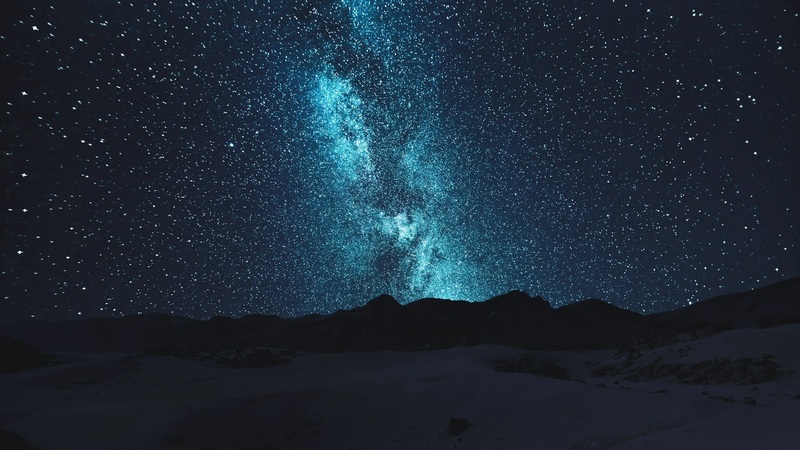 Not sure where to go for your first time, or perhaps you just want to find a location that's been vetted by other star gazers? 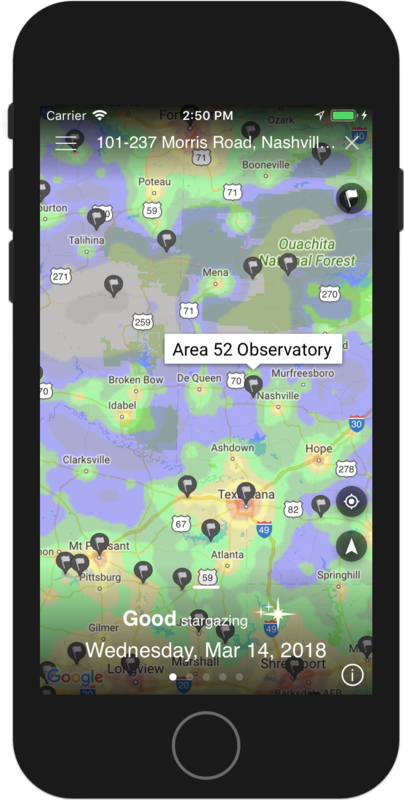 Lustar incorporates known locations to see the night sky brought to you by Clear Dark Sky.